By buying this product you'll earn up to 259 Rewards points. 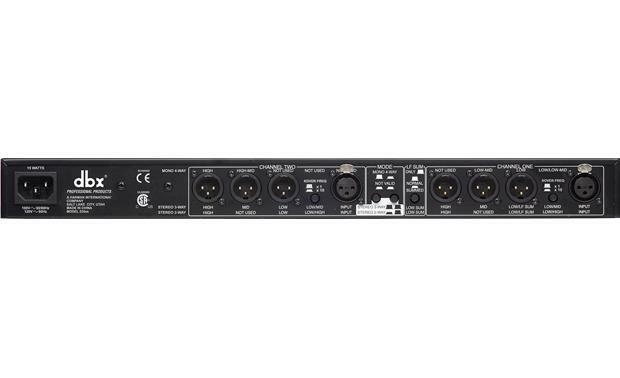 The dbx 234xs crossover is functionally identical to their 234s model, but provides XLR inputs and outputs in place of the 234s's 1/4" TRS connections. An electronic crossover may not have the gee-whiz high-tech factor of other kinds of processors, but pro-grade models like the dbx 234xs are extremely effective at getting cleaner, more dynamic sound from your PA system. Designed for bi-amped or tri-amped stereo, or quad-amped mono systems, the 234xs uses precision filters to divide the audio signal and function much like a traffic cop, directing only specific frequency bands to each amplifier and speaker driver. This means your amplifiers' full power is being used in an optimal fashion, reducing distortion and delivering cleaner overall sound. The 234xs has the pro-style features and rugged reliability you expect from dbx. It has 24dB per octave Linkwitz-Riley filters, independent output gain controls for level matching, and a selectable 40 Hz low-cut filter for each channel. If you're using a subwoofer, the 234xs also gives you the option of summing the low-frequency output to mono. Everything in the design exudes precision and pride, from the solid "click" of the controls to the high-quality balanced XLR inputs and outputs. Overview: The dbx 234xs stereo 2/3-way/mono 4-way crossover uses precision filters to separate the audio signal and direct the correct frequencies to your loudspeakers. This allows your amplifiers to use their full power on the usable signal for cleaner, fuller sound. The 234xs uses XLR balanced input and output connectors. 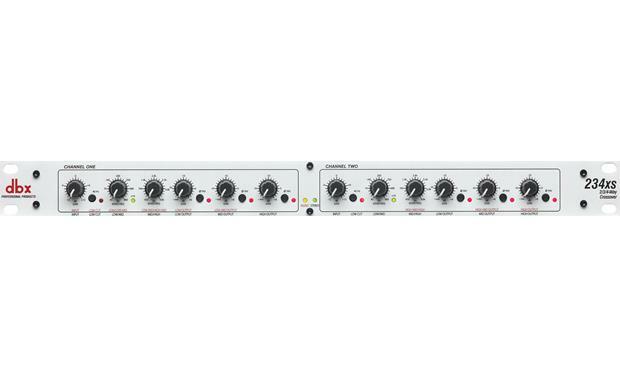 Stereo/Mono Operation: The 234xs can be configured for two channel stereo operation, splitting each channel's signal into low/high frequencies (2-way), or low/mid/high frequencies (3-way). You can also configure the crossover for mono operation, with a 4-way output of low, low-mid, high-mid, and high frequencies. The Mode switches are located on the rear panel. 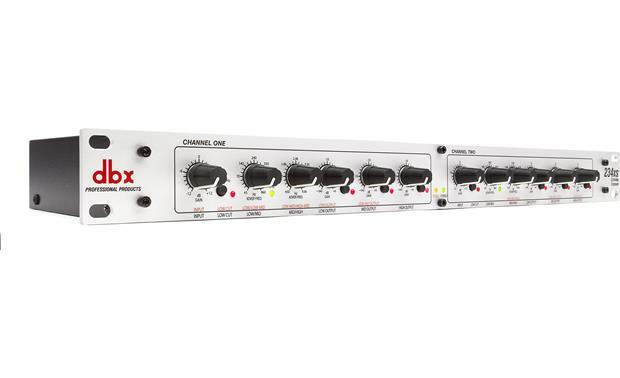 Filters: The dbx 234xs utilizes professional standard Linkwitz-Riley 24dB per octave filters. These filters sharply roll off the selected frequencies to provide clean signals at each output. High Pass (Low Cut): Both channels are equipped with selectable 40 Hz high pass (low cut) filters with a 12 dB per octave slope. When selected, very low frequencies are filtered out of the audio signal to prevent the amplifier from wasting power trying to reproduce extremely low frequencies. The 40 Hz High Pass filter can be used in a PA system without a separate subwoofer. Phase Reverse: Each output is equipped with a polarity reverse switch on the front panel. When speakers are not in phase, the low-end frequency response suffers, and comb filtering in the high frequencies occurs. When all speakers are operating in phase, the system performs at peak efficiency. Frequency Multiplier: Each channel of the crossover has an x10 frequency multiplier. When not engaged, the crossover range of that band is 45 Hz to 960 Hz. When the x10 button is pressed, the crossover range is multiplied by 10 to 450 Hz to 9.6 kHz. Low Frequency Summing: The low frequency (subwoofer) output can be switched from normal (stereo) operation, where the left and right channel signals are separate, to mono-summed operation. The mono summing of the subwoofer output can be used when you have a single mono subwoofer and stereo speakers. The LF Sum control is located on the rear panel. Input Gain: Controls the input level with +/- 12dB of gain. In stereo, both input gain controls are used (Ch 1 + Ch 2). In mono, only Ch 1 control is used. Xover Frequency: There are two rotary dials for each channel to set the crossover frequencies between 45 Hz and 960 Hz (or between 450 Hz and 9.6 kHz with x10 on). In stereo, the crossover splits the signal into low/high frequencies (2-way), or low/mid/high (3-way) for each channel. In mono, the channel one crossover splits the signal into low and low-mid frequencies, and the channel two crossover splits it into high-mid and high frequencies. Output Gain: Three rotary dials for each channel are provided to control the output of each individual frequency band. When operating in stereo, there are output gain controls for lows and highs, or lows/mids/highs for each channel. For mono operation, gain controls are provided for Low (Ch 1), Low-Mid (Ch 1), High-Mid (Ch 2) and High (Ch 2) frequencies. Each output gain control has a corresponding phase inversion button. Rack Mountable: The 234xs can be rack-mounted into a standard 19" equipment rack. Four rack screws and washers are included in the box. The 234xs requires only 1U of rack space. Inputs: The dbx 234xs is equipped with female locking XLRs (pin 2 hot) input connectors. 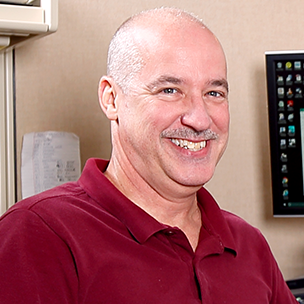 The input can accept balanced or unbalanced input sources. There are two input connectors for stereo operation. Only the Channel One input is used for mono operation. The maximum acceptable input level is typically +22dBu. Outputs: The crossover has male XLR output connectors. Three output connectors are provided for each channel, however some are not used when the unit is in mono or 2-way stereo modes. For stereo 2-way operation the low and high outputs are used for each channel. For stereo 3-way operation, the low, mid, and high outputs are used on each channel. For 4-way mono operation, the low and low-mid outputs are used on the channel one side, and the high-mid and high outputs on the channel two side are used. AC Power: The 234xs has a 3-pin IEC power cord receptacle, and comes with a 7-foot AC power cord. Searches related to the dbx® 234xs Stereo 2/3-way, mono 4-way crossover with XLR connectors.